You know you need to start saving money like yesterday, but you aren’t. Thinking about saving money to build wealth and increase your net worth and actually doing so are totally different things. You may forget. You may put off saving by a day, week, month, year, or save sporadically, so that you end up with nothing or very little money put aside for your future. The good news is that you no longer need to rely on your memory or discipline to reach your savings or investing goals. There are automatic savings apps that can help you start putting money aside immediately with little to no effort on your part. 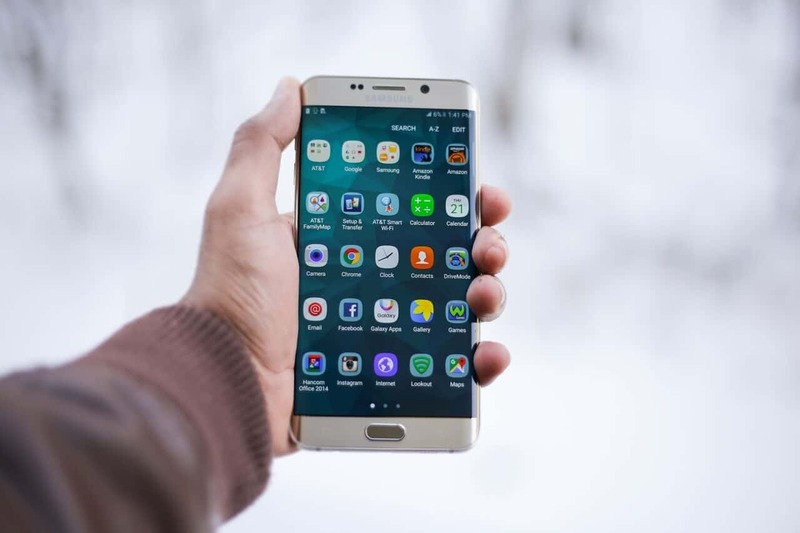 Below, I have compiled a list of some of the best savings apps you should consider today to start saving effortlessly. The Mylo app takes your spare change and invests it for you. It is like the Canadian version of the Acorns app in the United States. If you have pushed back investing until when you have more money, the Mylo app is for you. To start, download the Mylo app and link your bank account. Whenever you make a purchase and pay with any of your debt or credit cards, the apps will round up your payment to the nearest dollar and invest the difference. For example, say you walk into Starbucks and buy coffee costing $2.75. 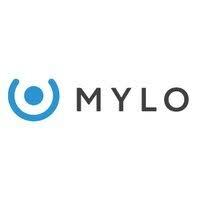 Mylo will round it up to $3.00 and invest the 25 cents ($0.25). It is so easy, you won’t even notice the money left your account! Mylo will invest your money using a personalized and diversified portfolio of low-cost ETFs, and grow your net worth. The app also allows you to set investment goals or make one-time deposits if you wish. You can withdraw money at any time. Your account is insured by the Canadian Investor Protection Fund (CIPF) up to $1 million. Mylo charges a flat fee of $1 per month. Whenever you refer a friend, you are awarded a $5 referral bonus. You also get a $5 bonus when you sign up below. KOHO is a different type of money management app. The app combines as a budgeting, cash back, and automatic savings app. It is a FREE reloadable Visa card and app in Canada that you can use to earn cash back on all the purchases you make with a debit (prepaid) card. The app allows you to create savings goals and reach them using the Roundup technique which rounds up your purchase to the nearest $1, $2, $5, or $10. You can reach your financial goals faster with their “PowerUps” feature which pays you 0.50% in cash back on every dollar spent. You can access real-time data on your daily, weekly, and monthly spending using the app and it tells you how you are doing budget-wise compared to your peers. KOHO is FREE to use and when you sign up here and enter the promo code “FREEDOM20“, you can get up to $60 in cash bonuses. 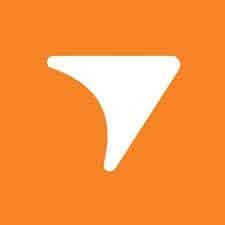 Tangerine is an online-only bank in Canada. Tangerine’s automatic savings program makes it easy for you to reach your savings goal. Once you decide how much you would like to save, they automatically move money from your other bank accounts to your Tangerine Savings Account where you earn one of the highest interest rates available. They also offer a no-fee chequing account, a money-back credit card, and investments. Current interest rate is 2.75% for 6 months and 1.20% after. There are no monthly fees and no minimum balance requirements. New clients also get a $50 cash bonus when they sign up here. The Acorns app is one of the most popular apps for micro-investing in the United States, allowing users to invest with as little as $5. This automated savings tool takes your loose change and invests it in a personalized and diversified portfolio. You can also choose to make one-time lump-sum payments whenever you want. 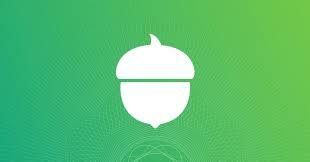 Acorns is a great app for those starting out in investing or who want a hands-off easy approach. Your account is protected by Securities Investor Protection Corporation (SIPC) up to $500,000. Fees charged vary depending on your account type, starting at $1 per month. Students get to invest for FREE. When you invest friends to use the app, you get a $5 referral bonus. EQ Bank is an online-only bank in Canada similar to Tangerine. They offer a FREE high-interest savings account that functions like a hybrid between savings and chequing. The EQ Bank app makes your day-to-day banking easy-peasy and you can use your savings account to make direct deposits, pre-authorized debits, electronic fund transfers, Interac e-Transfers, and more. More importantly, you can set up automatic Savings Goals and watch your account grow. 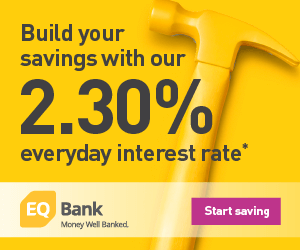 EQ Bank has one of the highest non-promotional savings rate in Canada today at 2.30% and there are no monthly fees. Your deposits are insured by the Canada Deposit Insurance Corporation. Signing up for Trim is FREE and there are no monthly fees. However, they will take 33% of any savings they achieve on your behalf. The service is only available in the United States at this time. The Digit app takes the “chore” out of saving money. After downloading the app and signing up, you need to connect your bank account. The app automatically analyzes your spending pattern and every now and then, moves money from your chequing account into your Digit savings account. The app is programmed to move money that you won’t miss as you do your normal day-to-day spending. It is currently available to only residents of the U.S. If you have a goal you are saving for, Digit can budget for you to help you reach your goal early. When you need the money, you can simply withdraw it. So far, over $1 billion has been saved by users of the app. To make your money go further, Digit will reward you with a 1% annual saving bonus which is paid out every 3 months. Your funds are held at a FDIC-insured bank and protected up to $250,000. The first 1 month on digit is free, followed by a $2.99 fee per month. 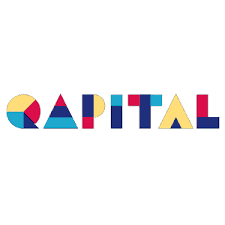 Qapital is actually a bank that offers an automated savings app and is available to residents of the U.S. The savings app saves the change whenever you make a purchase. Like other savings apps, this is done automatically without requiring your input. You can set savings goals easily and can even connect with If This Then That (IFTTT) to create custom rules that initiate an action, such as saving some money every time it rains or you hit your fitness goals. Qapital pays you an interest on the funds in your account and the app is FREE to use (no monthly fees!). Qapital accounts are FDIC-insured which means your savings funds are protected up to $250,000. The stash app will help you start investing with as little as $5. You do not need to know about investing to build a portfolio that suits your goals, interests and beliefs. The Stash app automates and simplifies the process with personalized guidance. After downloading app and linking your bank account, Stash automatically invest your spare change. If you want, the app also allows you to create an automated investing plan where it deducts a certain amount at the interval you specify. The Stash Invest app is free for the first month and $1 per month thereafter. Investment accounts over $5,000 cost 0.25% account per year. Any funds you keep with Stash are protected by SIPC up to $500,000. The app is only available in the United States at this time. Rize is one of the newer micro-saving apps available in the United States. The app is very versatile and allows you to easily set and reach savings/investment goals. For Rize Savings, you can automate withdrawals from your chequing account to your Rize account. The fee you pay is up to you to decide, starting from $0. Interest is paid on your savings balance at 1.65% – a pretty great rate when you consider what the big banks offer on a savings account. This is also the best rate of any micro-saving app currently available. You can withdraw funds as often as you wish at no charge and your account is protected from overdraft fees. 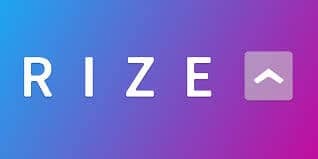 For Rize Investing account, you contribute what you want starting from $2 per month and they invest it for you using low-cost ETFs to build a customized portfolio. Pay what you want in fees, starting at a minimum of $2 per month plus a 0.25% annual management fee. When you refer friends to the app, Rize will pay you $5 (up to a maximum of $25). Your friends also earn $5 for joining. Tip Yourself is a unique savings app. Whenever you notch a victory – big or small, such as meeting your fitness goal for the day, sticking to your budget, paying off your credit card balance, you can tip yourself and save some money. I consider this app to be a positive way to develop good habits. Any monies you tip yourself is moved from your checking account to your savings Tip Jar. Your funds are kept with a FDIC-insured bank (NBKC Bank) and can be withdrawn at any time. For example, you can withdraw funds quarterly and put into your Roth IRA or other savings/investment account, or use it for your emergency or travel fund. There are absolutely no fees to use the service. It is currently only available in the U.S. Similar to Qapital, Simple is actually a bank with an online-only presence and available to U.S. residents. When you sign up, you get a savings, checking, and a Visa debit card. The app is great for saving towards a goal – simply set the amount you want to save and when you want to save it by. Simple will automatically figure out how to help you reach your goal. You can link other bank accounts, deposit checks, and make payments, all with their user-friendly app. There are no fees for banking with Simple… no monthly maintenance fees, no overdraft, and no minimum balance. You get access to over 40,000 ATM’s that are free to use, and when you refer a friend, you both get $20 deposited in your simple account. 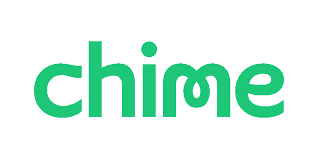 Chime works like a traditional bank (without the fees). You get a debit card, a checking account, and savings account all in one app. The savings account helps you save automatically by by rounding up your purchases and saving the difference. You can also setup automatic withdrawals from your checking into your savings account. For example, you can setup your account to automatically save 10% of your paycheck . Your account is protected via FDIC up to $250,000. Clarity Money is a financial app that broadly manages your finances including tracking your spending, automating your savings, budgeting, canceling your subscription, and providing your free credit score. No interest is earned on your saved funds which are insured by the FDIC up to $250,000. Unlike some other automated savings apps, Clarity Money is FREE to use. I love the idea of saving money every time it rains! My husband has a round-up savings app that sounds similar to Mylo…maybe it is Mylo since there probably aren’t tons of options for Canadians. @Suchot: Our neighbours on the South have a lot more options when it comes to automatic savings apps. However, Mylo is a great replacement for Canadians. I have used it for a few months and like the stealthy way it withdraws money…you don’t even notice it! I am curious to learn a bit more about your thoughts. You are clearly an expert in finance and we would love to hear what you think about distributing your paycheck money into separate accounts as soon as it is received. We believe it’s the only way to truly hold ourselves accountable, stick to a budget, and make financial progress – all automatically. A fellow person obsessed with giving everyone access to financial freedom.